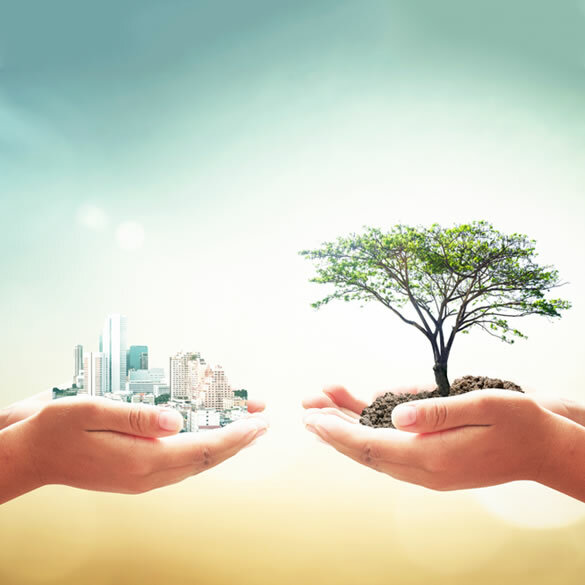 Sustainability is at the core of Tabreed’s operations. It reflects the company’s commitment to energy efficiency and to the environment, to its customers and to the sustainable socio-economic development of the region. They guide our day-to-day work, environmental and governance practices as well as our social initiatives. Our sustainability priorities encompass three main pillars, which are aligned with our values and the national agendas and energy strategies of the region: People, Community, and Environment. 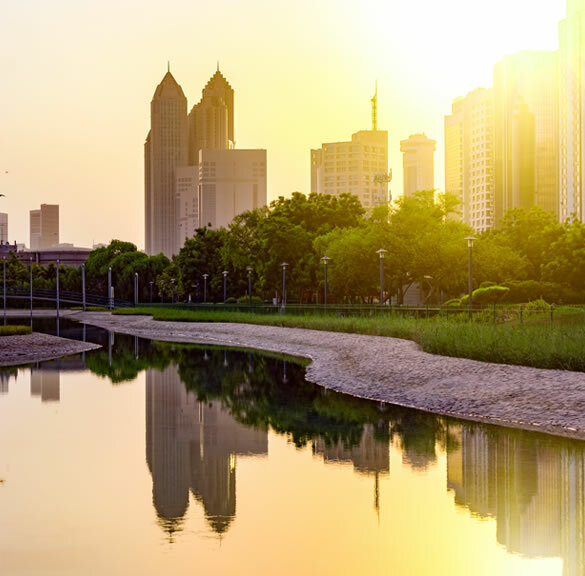 Aligned with the region’s national efficiency and sustainability targets, Tabreed has set its own targets to support energy consumption reduction and emission prevention, through innovative technology solutions and environmentally-friendly practices. Thermal energy storage involves storing chilled water in large tanks which decreases total energy consumed at the plants. Tabreed uses thermal energy storage technology in many of its plants to help achieve larger savings in electricity consumption, which also reflects positively on plants performance. 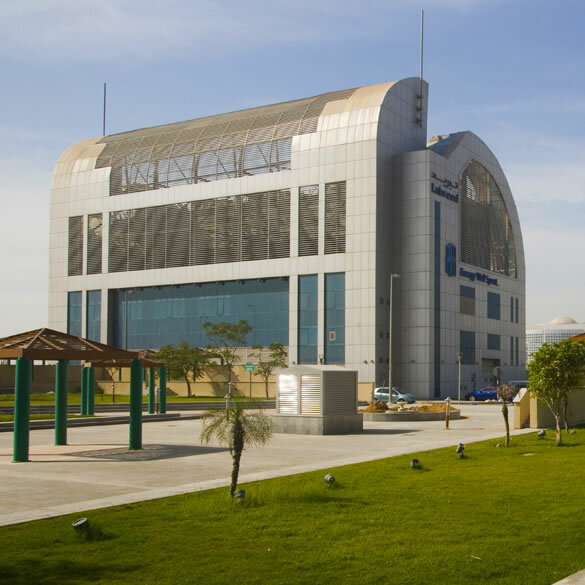 Due to its proximity to the sea, along with other important factors such as the shortage of water supplies in GCC, Tabreed is currently using seawater instead of potable water in one of its plants in Bahrain. This has led to an annual saving of approximately 80 million imperial gallons of potable water. 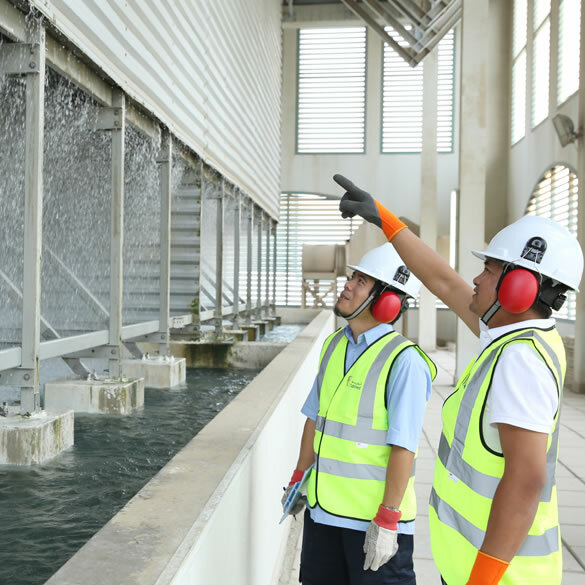 Tabreed is one of the pioneers in the use of TSE in district cooling plants, which enhances the sustainability of resources by recycling sewage water to replace potable water. 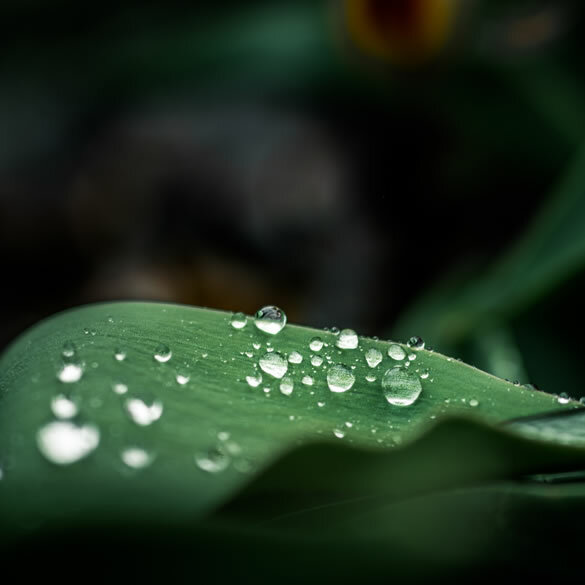 TSE can result in up to 35% savings over conventional potable water systems. Tabreed currently uses TSE in two plants, with a view to expand across others. Tabreed executives regularly visit local universities and engage with engineering students, sharing technology advances and best practices in district cooling as well as discussing potential career opportunities. Some of these universities include Khalifa University, Higher Colleges of Technology, UAE University, Zayed University and Tawdheef Career Fair. At Tabreed, we are committed to developing the next generation of leaders through encouraging UAE and GCC nationals to pursuing Science, Technology, Engineering and Math (STEM) studies leading to careers that help them realize their potential while positively impacting the growth of knowledge economies and socio-economic development. The company also offers internships to students in their third or final year of university studies. Areas that students intern at range from Human Resources, Finance and Accounting, Legal, Information Technology, Operations, Asset Management, Projects, Customer Relations, Health and Safety Executive, Corporate Communications, Business Development and Audit and Risk. Students interested in gaining first-hand experience on the operations of district cooling plants, are invited to tour our plants. 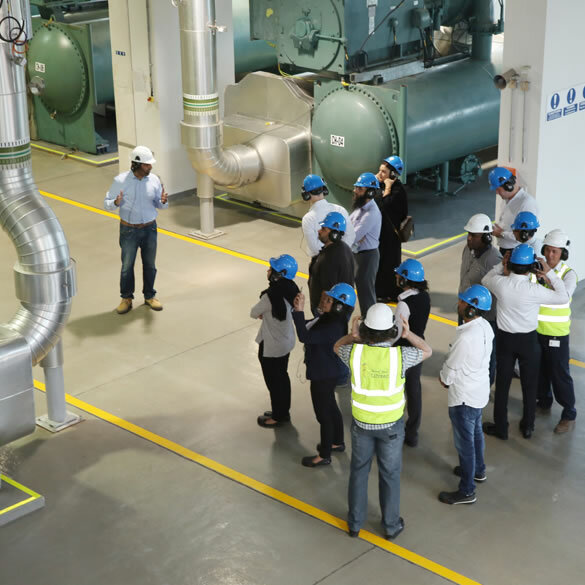 Tabreed has partnered with five universities to provide guided tours to their engineering students to deepen their knowledge of district cooling technology. Striving to provide a positive Health, Safety and Environment (HSE) presence in the communities in which the company operates. Tabreed has rigorous HSE standards and processes which has enabled it to maintain a very high safety record for its employees. In compliance with federal and local authorities’ regulations, the company also implements a number of initiatives to increase awareness and enhance staff HSE competency. 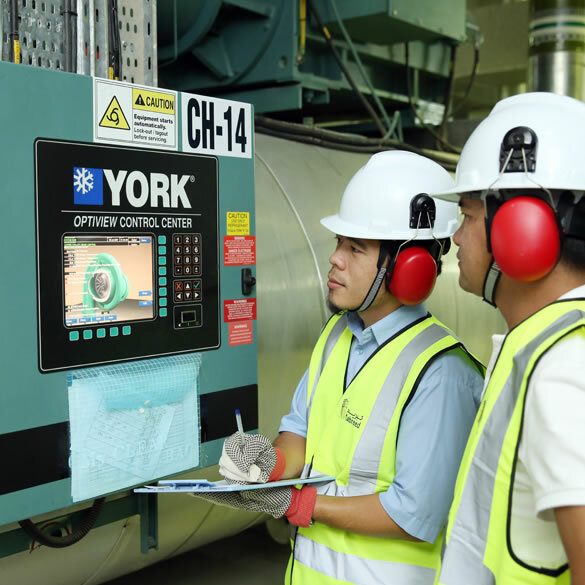 Increased focus on environmental aspects by performing air and water testing and plants noise monitoring on regular basis. Renewing environmental permits and obtaining environmental clearance for existing plants to ensure HSE regulatory compliance. Compliance with waste management regulations in various Emirates. Compliance with health and hygiene regulations both in plant operations and related to human exposure. Tabreed implements mandatory HSE learning mechanisms to ensure employees receive continuous training on how to work safely in Tabreed’s plants. In 2016, the company trained over 1,300 employees and contractors on Permit to Work System and Gas Testing, Chemical Safety, and HSE Management System / Risk Management (internally) and NEBOSH, IOSH, Basic First Aid, Firefighting, and Defensive Driving. Furthermore, three HSE days were conducted in 2016 in which people external to Tabreed were invited to obtain awareness on general HSE matters. A number of employees also received E-Learning training on the most up-to-date and innovative HSE courses which can be completed online. This initiative has had a high participation rate among employees. 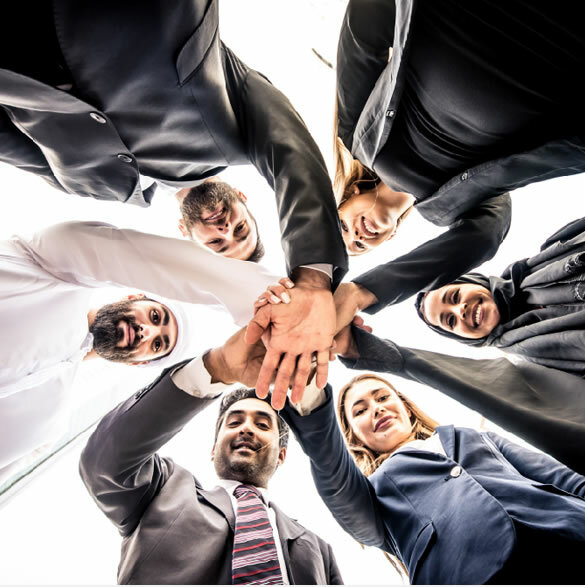 At Tabreed, we are determined to contribute to societal progress through nurturing the next generation of leaders, offering Emirati and GCC youth rewarding career opportunities at Tabreed. 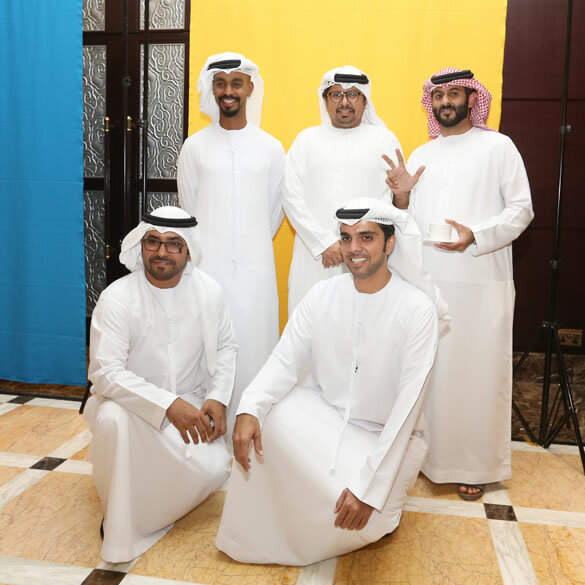 UAE national team members are enrolled in a leadership development program with specific and measurable milestones to monitor their professional development and ensure they are being trained to take on increasingly senior roles within the organization.